The fun code festival is back to inspire more teenagers to take an interest in programming! Select one of the workshops, and receive a cool Certificate of Participation while also learning to code! These will be running in parallel, so each participant must select exactly one workshop. Tailored to kids, ages 4-5 years old, we offer a special workshop. Learning code is not only fun, it can also be exciting. This is why we are organizing this Treasure Hunt! Play alone or with a team-mate. 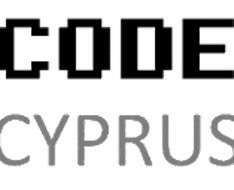 Download the Code Cyprus Android App or choose the HTML5 Web App and follow the clues that lead to the treasure. The first six winners will get cool prizes!